I hope everyone had a good weekend! Ours was ok… quiet, relaxing, but slightly boring. Back to the busy week! 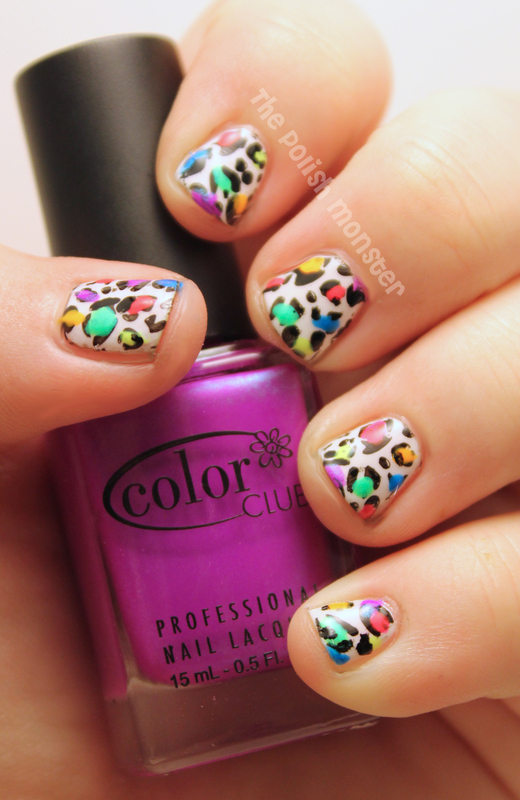 Once again I’ll be starting off the week with a Mani Monday! As I sat down to work on this yesterday, I struggled with what to do- and then it hit me! 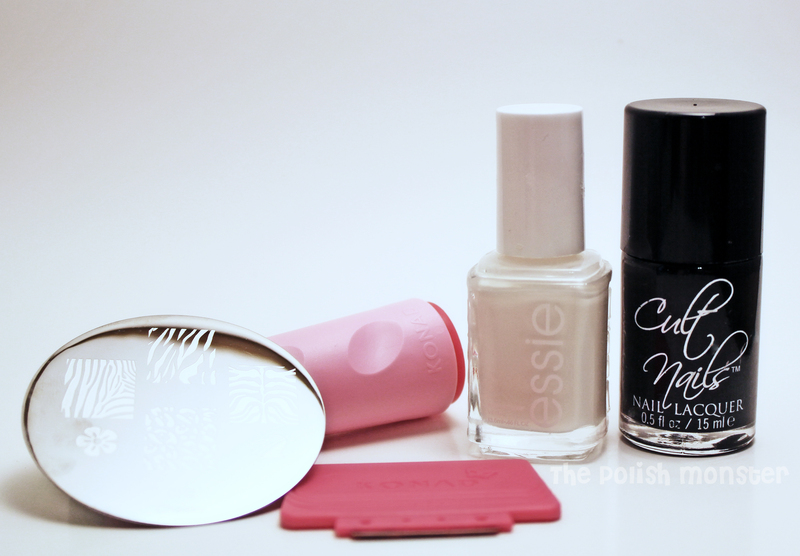 I just recently ordered my very first stamping plates- Cheeky’s 2012 Collection bundle– and hadn’t used any yet! When I say hadn’t used any- what I really mean is that I have never used a stamping plate- ever. I’d long drooled over designs that I saw people do with the plates but had never bought any. Laziness, again. Stamping plates aren’t something you can just pop into the drugstore and buy. There are a lot of various brands you can buy stamping plates from- Konad (my stamper is from Konad), Bundle Monster, Cheeky, Red Angel, Shany, Mash… and many stores offer their own line. Ninjapolish.com offers some really interesting ones, Llarowe just announced that they’ll be carrying a line, and you can even find them on etsy, like at Vivid Lacquer’s store! How cool is that, though? She makes her OWN stamping plates! 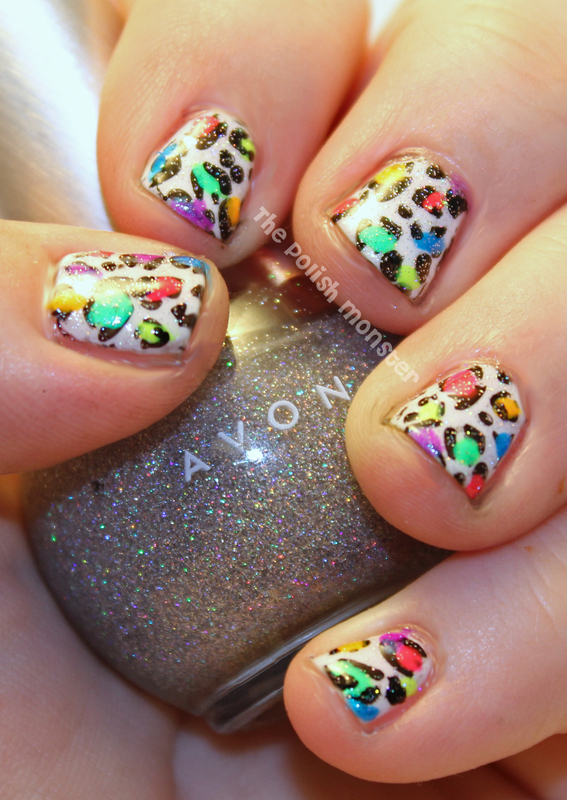 So back to the mani… One of the major designs I’d seen people do was a leopard print design… or more specifically, a NEON snow leopard design. Be still my neon-loving heart. I honestly don’t remember the first place I saw this crop up, though I do have have Steffel’s post on it saved in Pinterest, so that’s the one I’m going to credit. 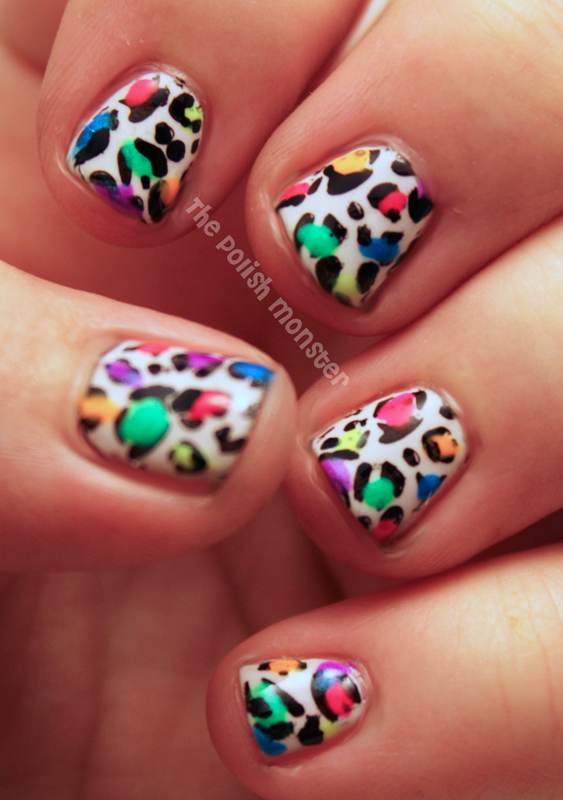 She used the Bundle Monster plate, which is a little different than the Cheeky design. For this, I used a base of Essie Marshmallow (can anyone suggest a good, plain white? My only one is Sinful Nails Snow White and I’m not a fan), Cult Nails Nevermore for stamping, Cheeky plate CH2, and my Konad stamper. I pictured the Konad scraper, but I ended up using an old gift card (I’ll explain below). I have a lot of neon colors. I picked these out mostly for their brightness factor, but also because they seemed to work well together. From left to right: Sinful Colors Pink, China Glaze Sun Worshipper, Sinful Colors Neon Melon, Color Club What A Shock!, Color Club Pure Energy, and Color Club Ultraviolet. The last 3 are part of Color Club’s Electro Candy neon set from 2009, and I won’t lie- they’re by far my very favorite neons of every color- especially Ultraviolet. You can still find this collection (cheap) at Ross sometimes, and can definitely find it on Amazon. I didn’t detail the stamping process. I had planned on it, but the photos my husband took just turned out terrible- I probably should’ve given him a clear cut list of how I wanted things, but I was working quickly with both kids screaming for dinner. Luckily, there’s a ton of amazing tutorials and videos all over the internet. Basically, you paint over the design to be stamped on the plate, scrape off the excess (leaving paint in the design indentations), smoosh-roll (new word) the stamper across the design, and quickly roll it over your nail. Almost every nail blogger I’ve read suggests using an old credit card/gift card instead of the scraper included- and I 100% agree! I initially tried out Konad’s scraper, but was having absolutely no luck. It wasn’t getting all the excess paint off, and by the time I went over it again I’d lose paint in the design or the design would be dry. The first time I tried a gift card was the first time I had a successful stamp on my finger! Did I mention my very favorite animal ever is a snow leopard? Has been since I was really little 🙂 We took the kids to the Chattanooga Zoo in September, and I was so excited to see the Snow Leopard was not only hanging out right by the glass… but she had a baby! They quickly became Syd’s favorite animal, too! Time for neon! To add the neon, I used toothpicks. I didn’t want to have to clean paint brushes, so I simply dipped the end of a toothpick into the color on the brush, and then dabbed it where I wanted it. After I finished all the colors, I added 1 coat of Poshe Fast Drying top coat. As an afterthought, I threw on a topcoat of fine glitter. Because really, the only way to make neon better is to make it sparkle. Or am I the only one that thinks that?? So there it is! I apologize for not having a thorough explanation this week, but I’ll be happy to answer any specific questions you may have- just leave me a comment and I’ll get back to you! See you all tomorrow for Try It On Tuesday! And if you haven’t hoped over to my Facebook page, please do! I love being able to interact with everyone!